ANU Vice-Chancellor Professor Brian Schmidt, and University Council Member Mr Peter Yu, have launched Found in Translation, the new book from historian Dr Laura Rademaker. Dr Rademaker, a researcher in the ANU School of History and part of the Rediscovering the Deep Human Past Project, explores in the book language and cultural interactions between Christian missions and Indigenous Australians. Her book focuses on the experiences of the Aboriginal community of Groote Eylandt, from the establishment of the Angurugu Mission in 1943. Through innovative research and remarkable engagement with local communities, she has produced an account of cultures persevering and cultures colliding. 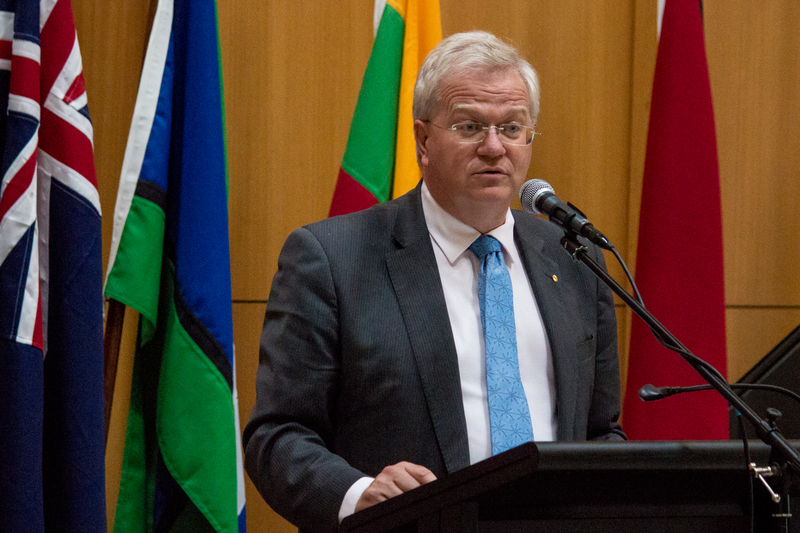 Vice-Chancellor Brian Schmidt praised the book for exemplifying the Australian National University’s deep commitment to Indigenous issues and community engagement. Dr Rademaker has more recently been working on the Deep Human Past project, a new initiative in the ANU School of History aiming to explore Aboriginal narratives, and bringing new and deeper understanding to Australia’s pre-1788 history. She is also conducting research for a future book looking at Aboriginal experiences in the Tiwi Islands. Found in Translation is available now and is published by University of Hawaii Press.